In contemporary photography, everybody agrees there is a “before” and an “after” The Americans, Robert Frank’s 1958 photographic manifesto. Half a century later, French director Philippe Séclier decided to follow in Robert Frank’s footsteps to explore the spirit of the Beat Generation and the impact of his book, The Americans, not only on the art of photography, but also on American culture. Following in Robert Frank’s footsteps meant delving back into the book – with the help of precious witnesses – but also by revisiting the United States, retracing Frank’s itinerary from East to West, North to South. Robert Frank traveled the United States with a 35mm Leica, he had no flash or tripod, and he wanted to take pictures discretely. This was the only way to achieve, in his own words, an “authentic contemporary document”. In the same spirit, filmmaker Séclier uses a digital camera and only natural light, with no tripods or other accessories. Driving while filming, filming while driving, and also stopping occasionally for a closer look, brings the voyage between photography and cinema into juxtaposition with sequences from the book. 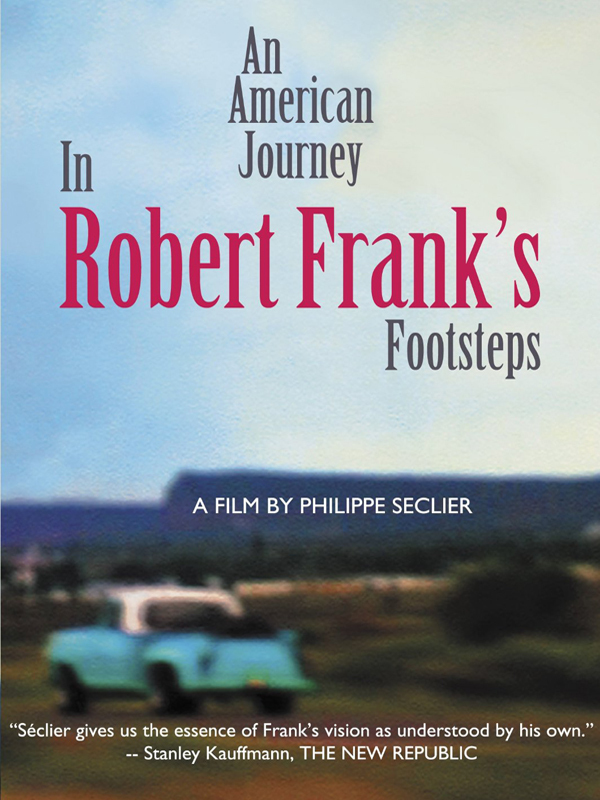 This American journey depicts, like Robert Frank’s trip before it, the experience of the wanderer and the lonesome road. © 2009 Ad Vitam Production / Selenium Films / MUSE Film and Television Inc. Studio: Ad Vitam Production / Selenium Films / MUSE Film and Television Inc.